Email Access Online toolbar is deemed as potentially unwanted program (PUP) that taking over computer settings seems to be effortless with the help of freeware bundles. 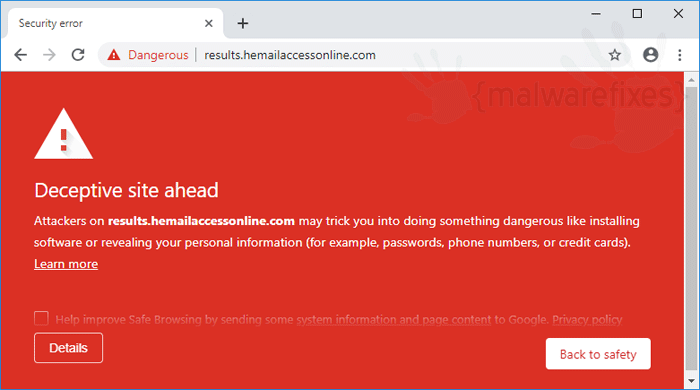 Unlike most adware that becomes part of the browser as ‘extension’, this variant of Email Access Online is installed as integral part of Windows. During our own diagnostics as it exists on Windows 10 computer, it appears on very top portion of the screen, overlaying all programs and windows. It is vital to remove Email Access Online toolbar as soon as possible to restore online security and privacy on the computer. As mentioned, it does not only affect the browser but it is a threat to operating system in general. For complete procedures to remove Email Access Online toolbar, please see the next section below. Because Email Access Online toolbar appears to be an integral part of Windows operating system, the first thing to do is run an uninstall process. 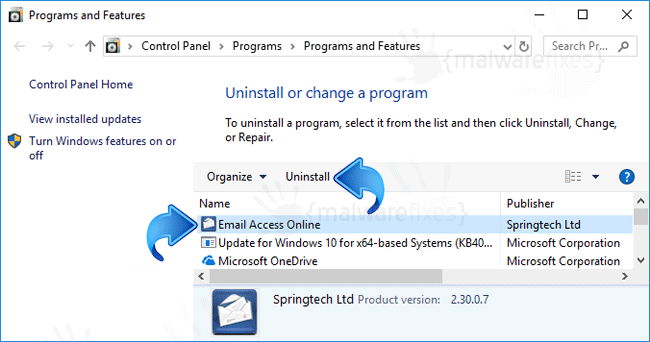 Follow the guide below to remove the potentially unwanted program (PUP) from the system. This process should also remove Email Access Online from browsers like Edge and Internet Explorer. 1. Press Windows Key + R and then, type appwiz.cpl command. 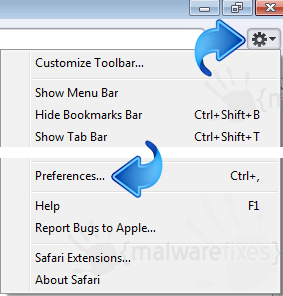 Alternatively, you can go to Windows Menu > Search and type the given command. 2. Program and Features window will open. Arrange the list in chronological manner with recently installed applications on top. To do this, click on ‘Installed On‘ column. 3. Select Email Access Online or recently installed unwanted entry. Then, click on Uninstall to remove it from Windows system. 4. Please restart the computer. In addition to the procedure, we suggest scanning the computer with AdwCleaner tool. Possibly, there are some traces of Email Access Online on the browser that was not deleted during the preceding steps. This tool will scan the computer and check for presence of malicious applications. 2. When the download has completed, please close all running programs on the computer especially browsers affected by Email Access Online. 4. AdwCleaner searches the computer for malicious programs, extensions, plug-ins, adware, and any items that may be associated to Email Access Online. Lastly, we will scan the computer with a multi-function security program. This will inspect the computer for possible presence of virus, malware, rootkit, adware as well as unwanted homepage like Email Access Online. 5. Internet connection is required when running this scanner in order to download important updates. Make sure that everything is up-to-date to effectively remove malicious program like Email Access Online. 6. Click the button to carry out the Scan. This will check the system for presence of malicious objects, malware, and viruses. The tool reveals items that were found linked to Email Access Online and other suspicious entities. Be sure to remove all identified threats. The following stages are optional and should be carried out only if Email Access Online is still present on corresponding internet browser applications. Most adware and unwanted programs are using a program called browser extension to be able to take over the settings of internet applications. Therefore, we highly recommend to check and remove the extension that is closely related to Email Access Online. 3. Find Email Access Online or relevant entry and remove it from Google Chrome. 4. Look for object that is pertaining to Email Access Online and remove it from the browser. 5. Select Email Access Online or relevant entry and remove it from Safari. 7. If Email Access Online.safariextz is present, click on Clear button to remove the unwanted extension. 3. Look for and Remove or Disable entries of Email Access Online from Toolbars and Extension and Search Providers section.